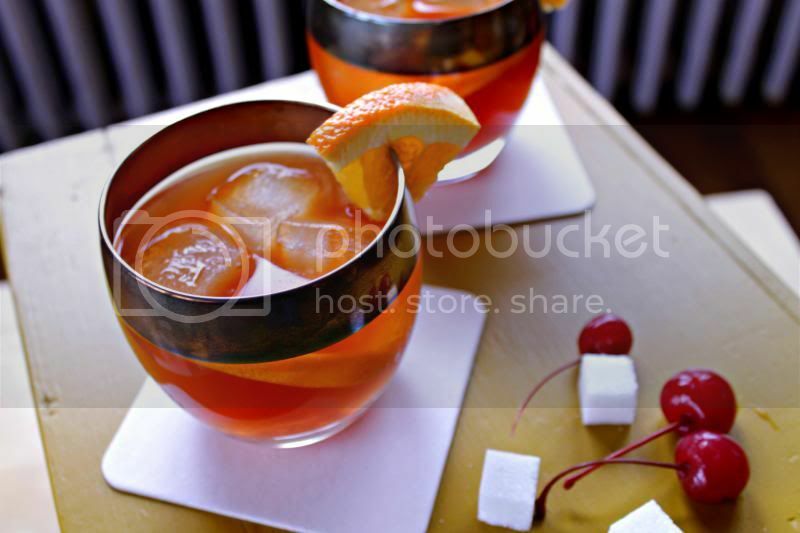 Did you know that my hubby makes the world's best old fashioned? It's a total fact. I haven't come across a better one yet. I've tried replicating it, but for some reason just can't make it the same amazing cocktail. I'm really not sure what his secret is. Husband luuuuuuv. That must be it. The old fashioned is now my drink of choice. 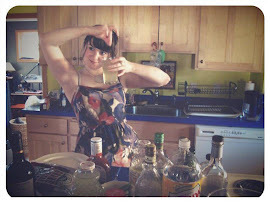 My taste has been changing over the years a lot, now that I'm a refined older woman of THIRTY-FREAKIN-TWO! Ask anyone, I'm hella classy. Thanks Mad Men for teaching me to be a lady. This may not be the classic way to make this nectar of the gods, but it's the best. Be forewarned, there are 4 shots in this baby! One cocktail is plenty, unless you need two, or maybe even three. 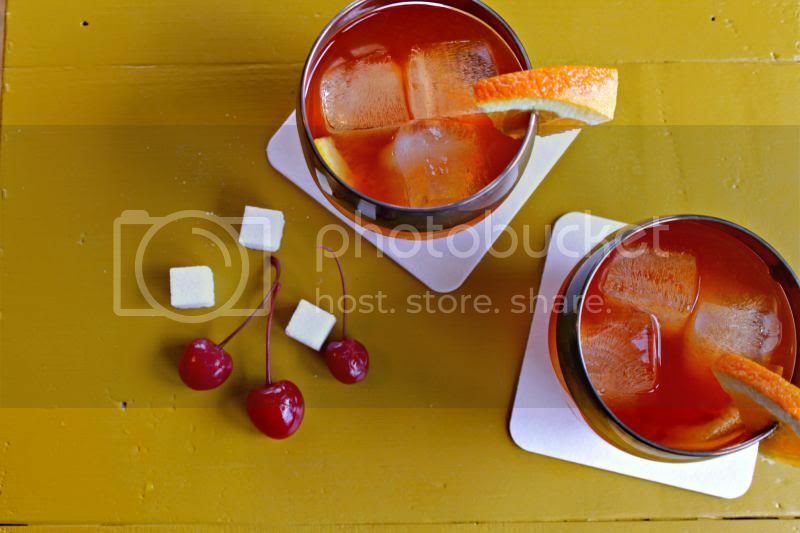 Start with the cherry, orange, and sugar cube in an old fashioned glass or low ball glass. Shake the bitters onto the sugar cube. Muddle everything together, avoiding the pith of the orange. Add rye, and stir. Add ice and enjoy. As I stated above, these are not for the light weights! These are mega strong, even for a no mixer cocktail. A lot of people don't add ice, which is probably more classy, but hey, give me a break, there are 4 shots of booze in these! Alright, there you have it. The best in the world. The gold winner of old fashioneds. At 10AM. Get your drink on friends! I LOVE OLD FASHIONEDS! I'm glad I'm not the only one. I may be wrong, but I think this is technically the world's first "cocktail". I was watching the episode of Mad Men, when Bettie is prego, and they're at the country club, and Don meet's Mr. Hilton when he makes him an old fashioned when he jumps behind the bar, because there isn't a bartender in sight. I really need to invest in bitters! It's always on my list but I never buy it. Also! 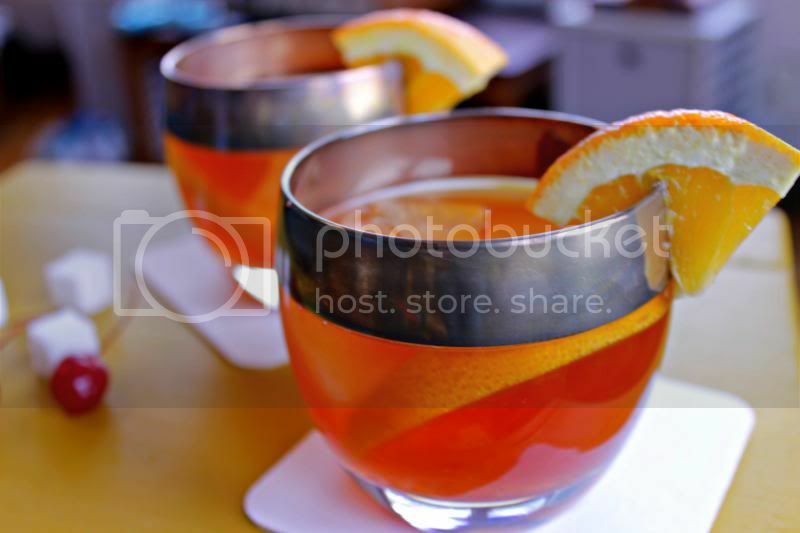 Manhattans... mmmmm.. it may be 11am, but I'm certainly craving this now! Wow, these look delicious. I've never actually had an old fashioned, but I sure do love whiskey.